Last Saturday I wrote about Laphroaig QA Cask, a no age statement (NAS) whisky. 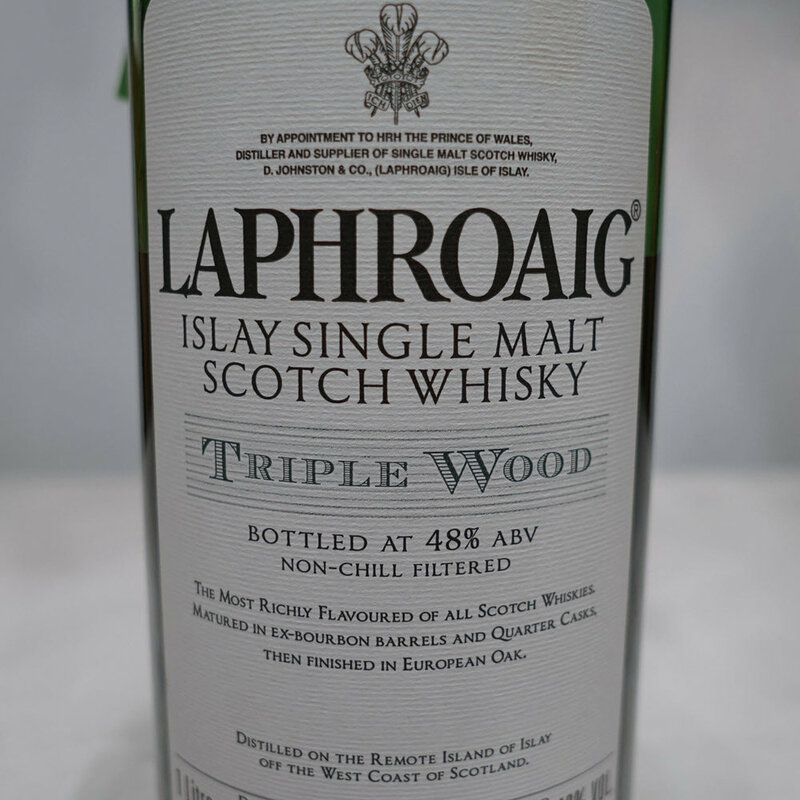 I have tasted yet another NAS whisky from Laphroaig distillery; Laphroaig Triple Wood. It is part of the core range from Laphroaig. I guess the name is given from the maturation of the whisky. The first maturation is in American oak, ex-Bourbon Barrels. Then a range of different aged spirit is transferred into Quarter Casks for a second maturation. The final maturation is in Oloroso Sherry Casks. The whisky is available in Norway at NOK 599,90 (item number 186201) and in Sweden at SEK 502 (item number 85522). Nose (20/25): Woody, dusty and dry. Gentle smoke. Some vanilla gives a hint of sweetness. It becomes sweeter after spending some time in the glass. Taste (22/25): Rich and sweet with a gentle smoke spreading on the palate. Dried apricots, vanilla and spices in a nice combination. Warm. Finish (22/25): Orange peel and quite dry in the end. Still the smoke was gentle in my mouth. A warm and long finish. Balance (21/25): Not a very exciting nose, but the taste was much more rich and better. I guess the higher ABV added some complexity and richness. The smoke was surprisingly gentle all the way. I would have expected a Laphroaig to be more smoky, but I did not mind this style either.